Changes to workplace safety legislation in 2012, have seen the introduction of a national, ‘harmonised’ approach to Workplace Health & Safety. These changes have major implications for the franchising industry. Franchisors would be well advised to address these changes proactively, but what do directors of franchise groups need to do to comply? Franchisors need to demonstrate due diligence in workplace safety across their entire franchise network. Due diligence means undertaking everything that is reasonable to ensure the health and safety of those in the working environment. This can be achieved by putting in place a safe system of work. Putting documentation such as policies, procedures, and checklists in place is not enough. Having the required documentation is a great start, but to show a safe system of work your franchisees and you as the franchisor need to demonstrate that you use, review, and improve the system regularly as required. Having a workplace safety system that actually works should be high on the list of priorities for all franchise groups. Essentially, the harmonised WHS Act places a primary duty of care (among other specific duties and obligations), where reasonably practicable, on any Person Conducting a Business or Undertaking (PCBU). This is a deliberately broader definition than “employer – employee” and is designed to take into account modern working arrangements – contractors and franchisors included. A PCBU owes this duty to workers engaged or caused to be engaged by the PCBU, or whose activities are influenced or directed by the PCBU while at work – or more broadly as “a person who carries out work in any capacity for a person conducting a business or undertaking”. Can impose sanctions for non-compliance with the contract. On this basis, it can be argued that a franchisor is the PCBU of the franchisee. It should also be noted that a franchisee can be a PCBU in his or her own right also, and will owe primary duties to anyone considered to be their worker. You should also note that you cannot contract out of your duties. There are many challenges in business in general and franchising in particular around generating work, developing your brand and system, and finding suitable franchisees. Workplace health and safety potentially adds another drain on finite resources. While a franchisor cannot contract away his or her legal obligations, they can set up a safety management system with which a franchisee must comply. The information collected via this system will enable a franchisor to discharge the duties imposed by the Act quite easily and the franchisor only has to monitor the franchisees compliance with the system, with the obligation to supply accurate information passed back to the franchisee. If you’re a Self Storage franchisor, you should ensure that whatever you do, your efforts are to make a genuine attempt to create a culture of safety within your business. 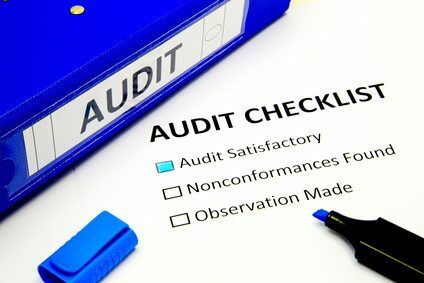 You may have a WHS policy or a Safe Work Procedure (SWP), but if no one in your business knows about them, your franchisees don’t follow them, or you don’t enforce them, it’s going to be hard to convince an inspector or a judge that you’re serious about safety. More importantly, having a workplace safety system should preserve your human workforce, save your facility money, and enhance your reputation. Contact our team at Safety Makers for more information on creating a safe environment as a Self Storage franchisor. Next articleDo Blogs for Self Storage Websites Work?